Farmer distress is in the news again. The causes of distress may be many - ranging from low productivity on small and marginal farms, crop failure due to weather fluctuations, to low market price due to a bumper harvest. The usual policy response, however, seems to be a loan-waiver announcement. For example, several loan-waivers were announced in the second half of 2017. The stated rationale for loan-waivers is that if debt burdens are alleviated in this one instance, then it provides consumption relief and makes it possible to start the next farming season in a clean state. The assumption seems to be that the problems that caused distress this season, will somehow, not manifest themselves again. Even if one were to believe that a one-time loan-waiver is a solution to problems of agrarian distress, the efficacy of the mechanism depends on its implementation. This article makes the case that it is possible, and even desirable, that the process of loan-waivers be handled through procedures in the personal insolvency sections of the Insolvency and Bankruptcy Code (IBC). The Code which became functional for corporates last year has still not been made available for individuals. Implementing loan waivers through the IBC would essentially mean that the decision to avail a loan waiver would cease to be a "political decision" applicable to the collective of farmers, and become an "individual's decision". Why is mass scale loan-waivers a bad idea? Ad-hoc loan waiver announcements are usually politically motivated. Their implementation leaves a lot to be desired. For example, a CAG report has demonstrated large-scale mismanagement in a previous loan waiver scheme. By December 2017, stories had surfaced about implementation issues in Maharashtra. In January this year, the Punjab government launched its loan-waiver scheme even as farmers protested alleging irregularities in the selection of beneficiaries. Large-scale loan-waivers create moral hazard problems which are detrimental to the development of a credit culture. If debtors expect that there will be a loan-waiver announcement in the future, then there is little incentive to repay on time, as has been demonstrated by empirical research (Kanz, 2016, Chakraborty and Gupta, 2017). Anecdotes suggest that loan-waivers have contagion effects on other sources of credit such as micro-finance. Lenders (other than public sector banks that are forced to lend through priority sector lending targets) become wary of venturing into these markets making borrowers more credit constrained. Credit becomes more expensive for everyone and not just those who benefited from the waiver. Waivers also have fiscal consequences - money spent on waivers is not spent on measures that may improve agricultural productivity in the long run. For the costs they impose in terms of the fisc as well as the poor development of credit markets, their benefits seem uncertain. It is not clear who is benefiting from the loan waivers, and whether intended beneficiaries are actually getting the waivers. Once the personal insolvency sections of the IBC are notified, it would become possible for farmers to approach the courts to ask for a re-negotiation of their debts from their lenders through the IRP. Such a demand may be made by creditors as well. If the IRP fails, farmers could undergo the bankruptcy process. Both these processes do not include an element of a waiver. It is expected that the debtor will make some repayments to the creditor - either through a repayment plan that most likely promises payments out of future wage (or other) income or through liquidation of the non-exempt personal assets. Such a system disciplines borrowers and brings difficult questions on the feasibility of a particular venture, including low productivity farming, to the forefront. The process also disciplines creditors by constraining them from forceful credit recovery, and by bringing them to the table to re-negotiate with the debtor, and take a haircut on their loans. The third process, called Fresh Start, aims to provide debt-relief to people who fall below certain asset, income and debt thresholds. The eligible debtor, in this case, the farmer, can trigger this process. On acceptance of the farmer's petition, her debts will be waived off. That is, the creditors will not be able to initiate a recovery process on this debt, and will have to do a write-off. A record of default will be kept by the Insolvency and Bankruptcy Board of India (IBBI) for a certain prescribed time-period, and future creditors will have access to these facts. Thus, the fresh start process provides a full waiver to the farmer, while containing moral hazard through a record of default. The decision on whether to avail of the waiver rests with the individual. 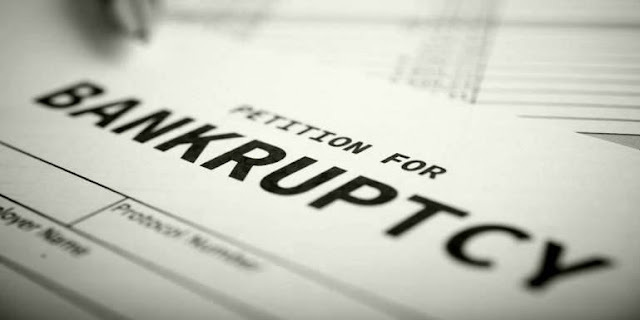 Bankruptcy systems often provide an element of social insurance, as it is believed that distress can be the result of circumstances beyond one's control. In the case of personal insolvency, especially, studies in the US have shown that events such as medical emergencies account for a number of financial distress cases. In such circumstances, it might be optimal to provide a mechanism to discharge one's debt without undergoing a resolution process. The provision of insurance might actually encourage households to take debt and engage in entrepreneurial ventures. This may be true of farmers who may be in distress due to events such as crop failure and may wish to avail of a write-off of their debts. As the application is made by the intended beneficiary, there will be a very little possibility of the selective provision to beneficiaries, or leakages in the administration of the waiver program. The application for a fresh start does not depend on the state government declaring a loan-waiver scheme - it is possible to obtain this in the ordinary course of life. It contains the fiscal problem as the state does not rush in to pay the banks for the loans that have been waived. If the state government still wishes to pay for the waivers, then it can always pay the banks, but use the IBC to actually implement it. In doing so, it still is able to constrain the moral hazard problem as those who avail of waivers will have a record. The rollout of the process rests on the institutional machinery of the IBC being in place. This requires setting up new Debt Recovery Tribunals as well as improving their procedure, and training of Resolution Professionals. Farmers in remote villages need a way to access this institutional infrastructure. If the machinery is not in place, then the existence of such a process is moot. As currently defined, the thresholds for a fresh start eligibility are rather narrow. Only debtors with gross annual income of less than Rs.60,000, assets less than Rs.20,000, debts less than Rs.35,000, and no home-ownership are eligible to get a complete waiver of debts. It is not clear how many farmers will qualify for a fresh start under these conditions. It might be useful for the government to revisit these thresholds in light of how important fresh start may be for solving the problem of loan distress in India. In an environment where lending to agriculture is politically motivated (see Cole, 2009), large-scale use of fresh start might get the banks in further trouble - as on one hand they will be forced to write off these loans, but on the other also forced to lend to farmers through priority sector lending requirements. For the fresh start mechanism to work, we need to move towards a more thorough-going reform in public sector banking in general and agricultural credit in particular. Indian agriculture seems to repeatedly encounter large-scale agrarian distress. In this environment, the proclivity to announcing farm loan waivers, the inability of waivers to reach intended beneficiaries, while causing adverse consequences on credit culture suggests that we find more efficient ways of resolving this distress. Enacting the personal insolvency sections of the Indian Bankruptcy Code may be a useful mechanism to address this problem. In particular, the provisions on a fresh start, which provide a complete waiver of debts, may be extremely useful in providing relief to farmers in a systematic way, and by confronting the problem of loan write-offs, may pave the way for reform in agricultural lending. Renuka Sane is an associate professor at the National Institute of Public Finance and Policy. The author wishes to convey her thanks to Josh Felman, and Anjali Sharma for the useful comments. This article was originally published at Dr. Ajay Shah's Blog on March 12, 2018. All rights reserved by the original publisher.